In late February 2015 in Houston, TX–everything changed. That was the date of the official release of the data from the LEAP Study, a landmark paper presented by Drs. George DuToit and Gideon Lack—the culmination of years of study. I was lucky enough to be at the AAAAI session as the embargo on the data was lifted and witnessed the release of a once in a decade Landmark Study. 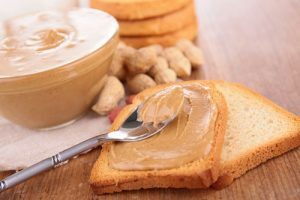 Early dietary introduction of peanuts to severely eczematous babies (and those with egg allergies) would actually prevent the development of peanut allergies. Prior to this, if you asked the average doctor at what age peanut should be introduced, the answer typically would’ve been: “3 years” so this was a big sea change for physicians. Recommending early introduction, and not waiting for months (perhaps years) to start solids when weaning, was to be a thing of the past. However, to the average Allergist, the suggestion of waiting months…or years before introducing foods was something that was already not routinely recommended. Since 2008 our recommendations to patients were typically along the lines of: “we’re not sure…or…early introduction makes sense…” The one thing that was clear was that waiting to introduce foods had not been associated with reduction in food allergies. Back at the turn of the century what was suggested was simple: Introduce ‘allergenic foods’, like fish, tree nuts and peanuts at age 3. This was the pattern suggested by the American Academy of Pediatrics (AAP) in their 2000 Guidelines on ‘Hypoallergenic Infant Formulas’. It was based on a study that chose arbitrary time frames and…really didn’t show much prevention of food allergy. It did however have easy-to-follow instructions and matched up with the theory of the time that waiting to introduce foods would prevent food allergies. This was after studies showed that the way to reduce latex allergy was to wait before exposing children to it…and that worked marvellously. However, with food allergies there was a twist. Children with eczema would likely get their first peanut exposure through their damaged skin and not orally…and oral introduction typically pushes towards tolerance. Therefore: early introduction would be better. A groundswell of evidence-based physicians did question the original suggestions on food introduction…and it got to the point that the old Guideline was officially rescinded. In summary: waiting to introduce foods like peanut was likely not helpful in preventing food allergy and telling people when to introduce certain foods without good evidence was not valid. However, two things were clear at the time: 1) it was easier. Waiting to introduce foods such as peanut at age 3 meant you could communicate with a child at the time of food introduction to earlier determine if there was a reaction, find things easier to deal with if there was a reaction, and there would be reduced risk of choking hazard from trying to introduce peanuts/peanut butter. 2) ‘Common Sense’ dictated that waiting to introduce foods would prevent food allergies, and it would take a lot to overcome people’s conception that waiting to introduce foods like peanut was actually the wrong way to go about it. That was why the LEAP study was so important. It confirmed that early introduction of peanut was exactly the right thing to do…and did so in a way that was incontrovertible. So, although in a sense nothing had changed (for 7 years early introduction had already been recommended) true change was now upon us and it was time to officially acknowledge the ‘new’ paradigm and actually make it happen. If you look on the CSACI Website, you’ll find links to the NIAID (and CSACI) Peanut Introduction Guidelines, and also a link to an Editorial commissioned by the CSACI Board of Directors about how to go about the business of actually introducing peanut around the age of 6 months old to infants…and not waiting. The provision of early peanut introduction in infants will not be easy…but it is the right thing to do. Waiting…that’s easy. And to paraphrase Tom Petty: the ‘not waiting’ is the hardest part. 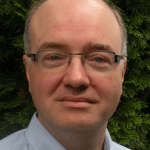 David Fischer is the President of CSACI and Past Chair of the Anaphylaxis Interest Section and the Continuing Professional Development Committee of the CSACI. He is a co-author of the Canadian Immunotherapy Guidelines and an Adjunct Professor of Allergy and Clinical Immunology at Western University.